It takes a pretty dang awesome makeup item to make us here at HWB go, “Whoa.” After all, as bridal editors we see a LOT of impressive cosmetics, from airbrush foundation to stay-put lipstick to perfect false lashes. But dramatic eye shadow sans brushes is something we hadn’t encountered…until now. 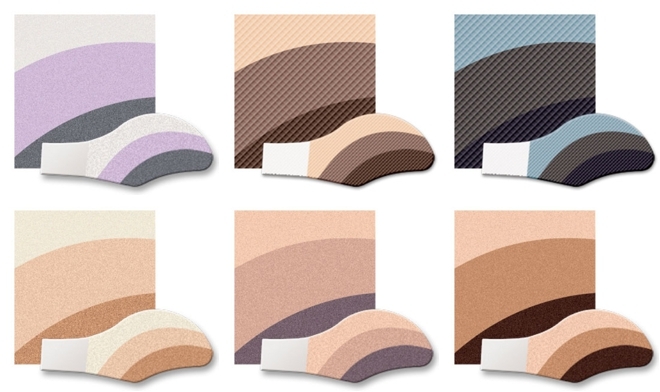 Behold Eye Majic: pre-set, pre-contoured eye shadow sponge strips you simply press against your eyelid, slide across and voila—flawless eye makeup! Or…mostly. If you like liner or shadow along your lower lash line, you’ll need to apply that separately. And for a more diffuse look, you can use your fingertip or a medium shadow brush to blend the stripes of color—an especially important step for the darker Eye Majic shades, which can be rather intense. Other add-ons might include black liner along the waterline for a true smoky look, mascara and/or false lashes. But, we gotta say, Eye Majic has really, um, opened our eyes to the possibility of foolproof, no-brush eye shadow. And with all those pre-wedding parties you are certain to attend, doesn’t easy-peasy evening eye shadow sound like something to celebrate?